This classic meatloaf recipe is probably a lot like the one your mother made for you. The difference is that you step up the flavor by making this meatloaf in the smoker rather than the oven. This is the real barbecue-style version of a comfort food favorite. You can serve smoked barbecue meatloaf with anything from mashed potatoes to potato salad or a delicious casserole. This dish is quite versatile and can be served for any occasion and at any time of the year. Try the leftovers in sandwiches. 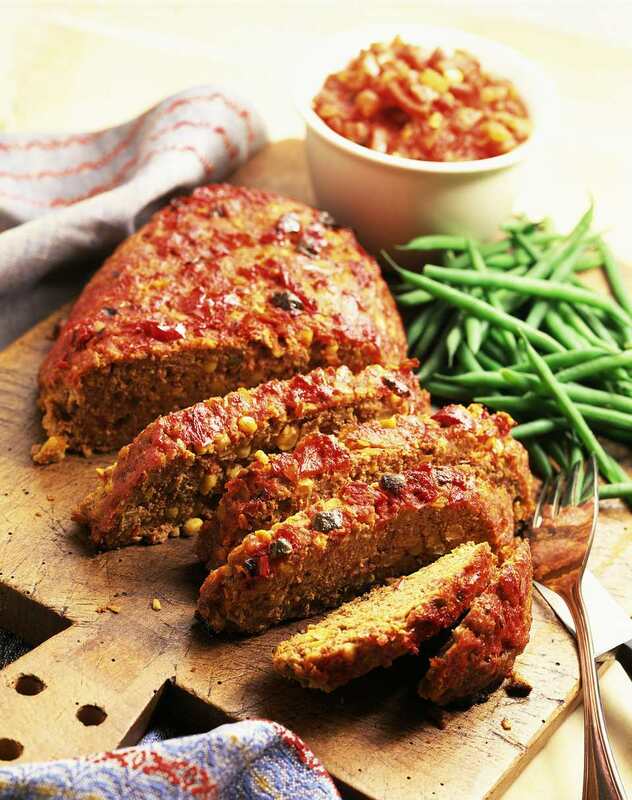 For extra flavor, this meatloaf uses a combination of ground beef and ground pork. An 80/20 grind of chuck works best for the ground beef. You can use any type of ketchup or barbecue sauce you happen to have in your refrigerator. Or, for complete control of your ingredients, use your own homemade ketchup or barbecue sauce. To expose as much surface to absorb the smoke flavor, you will shape the meatloaf into a loaf but it won't be pressed into a loaf pan. Make the loaf as thick as possible through the middle so the center will stay moist and juicy. Prepare the smoker for a 3-hour smoke at a temperature between 250 and 275 F.
Combine the milk and bread. Set aside for about 10 minutes, stirring a couple of times. Add the ground beef, ground pork, egg, ketchup, onion, garlic, salt, and black pepper. Using your hands, gently mix until everything is evenly combined. Try not to over-mix so that the ground meats retain their texture. Form the mixture into a loaf shape on a smoker-safe pan or parchment paper. Place into the heated smoker with a small amount of mild wood. Smoke the meatloaf until the internal temperature passes 165 F.
Combine the sauce ingredients and brush a generous amount toward the end of cook time (about 15 to 20 minutes before the end). You can do this a few times to ensure a nice flavorful topping on the meatloaf. Once the meatloaf has cooked through, remove it from the grill and tent it with aluminum foil. Allow it to rest for 5 to 10 minutes. You can reheat the meatloaf in the microwave to enjoy the next day. Serve it cold (or warmed) in sandwiches.